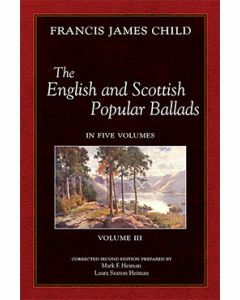 First published 1883-1898, Professor Child's monumental work on the ballad tradition of England and Scotland stands as a foundation document for all subsequent ballad scholarship and for trends such as the twentieth century folk revival. 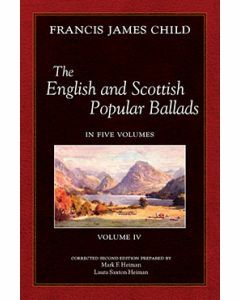 The English and Scottish Popular Ballads presents 305 distinct ballads, most with multiple variants, with commentary that traces the origins of the ballad stories through the literature and traditions of much of the western world. 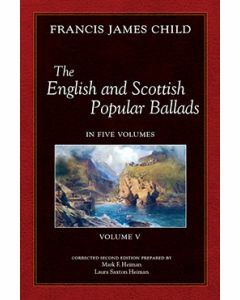 Professor Child's painstaking research ranges from ancient Greece to medieval Norway, with translations and detailed citations for all of the sources on which he draws. Out of print for decades, editions of this seminal work have become scarce. 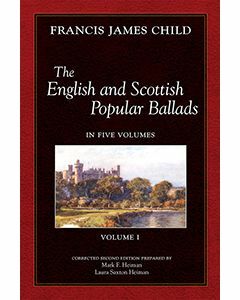 Loomis House Press is pleased to present the first new (non-facsimile) edition of the Child collection, completely re-set and edited to include all of Professor Child's post-publication corrections and additions, as well as ballad tunes drawn from Child's original sources. For more information about this new edition, see our FAQ.